Welcome to Cloudcroft, New Mexico! Cloudcroft is a village in Otero County, New Mexico, and is within the Lincoln National Forest. The population was 674 at the 2010 census. Despite being located in an otherwise arid region, its extremely high elevation (8,600 feet (2,600 m); one of the highest in the U.S.) allows for a relatively mild summer that makes it a popular tourist attraction in West Texas and New Mexico. It was named by Fodor’s in 2002 as the Number 3 “Most Overlooked and Underrated Destination Spot.” Tourism remains the primary economic driver of the village. They are proud of their 110-year-old, unique mountain community which combines the amenities of modern life with our heritage as a pioneer village. 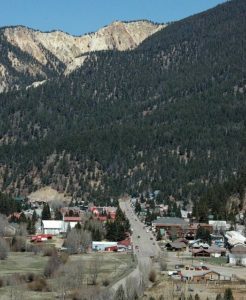 Cloudcroft, NM is the travel destination of thousands of visitors each year. In the summer, it is a wonderful place to get away from the heat and enjoy the delightful pleasures of the mountains. In the winter, you can explore the vast wonderland of cross-country skiing, snow mobiling, and ice skating. At any time of the year, Cloudcroft is truly “The Most Enchanting Part of the Land of Enchantment!” Visit Cloudcroft Info Page HERE!